Teleseminars currently on hold while Sara is writing her next book. Stay tuned! with a powerful, personal in-person small group course with Sara! 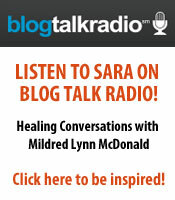 Listen here to Sara tell you more about how this teaching can change your home – and your life NOW! Are you ready to love your home and your life at a whole new level? Are you longing for a clean, beautiful, welcoming, organized living space, bursting with love and good energy? Do you and your home need more time, money, energy and focus than you have right now? Good news! If you want to resolve issues in your home and start loving your life at a whole new level, you can begin today. It’s easier than you think. Some people believe your home reflects who you are. It doesn’t! Your home reflects how you are, and how well you are taking care of yourself. Everything is energy, and you and your home are energetically intertwined. If you are bogged down by too much stuff, décor dilemmas, mess, clutter, disrepair, stalled projects, not enough time, not enough money, lack of motivation, emotional stress or whatever is going on for you at home, you can dissolve, shift and transform those issues as if by magic when you learn how to work with the energetic connection between you and your home. 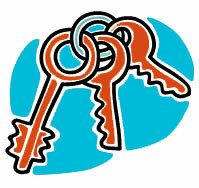 HouseHeal teaches you The 3 Keys that that unlock the door to everything you dream of at home and beyond. This life-changing course is designed for you if you are ready to step into your own power on a deeper level, beginning at home. Through practical, interactive sessions you will get what you need to change how you see yourself and your home, and be in action with ease. Over the four weeks, your understanding of the Househeal principles will deepen, and translate into daily practices that will change your experience of home forever. It’s one thing to understand intellectually how “energy” works in your home, and it’s another to put that understanding into practice. By the end of this course, you will be asking yourself “Can it be this easy to have a home and a life that I love?” and, as you notice the changes around you, you will discover that, yes, it can. get what you want at home more easily than you ever dared to hope! 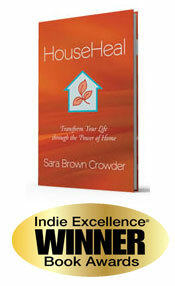 If you are ready for major wonderful changes in your home and in your life, this course is for you! Includes an in-depth workbook.